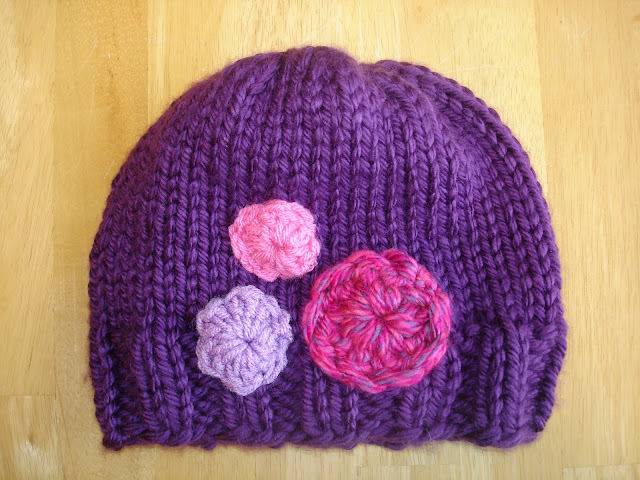 Knitted in the round in a deep royal purple, your little queen will enjoy wearing this knitted hat embellished with crochet “gems.” Be sure to check out the matching scarf pattern so she can be dressed in full royal regalia! CO 48 sts, PM and join for working in the round. Work in K2, P2 ribbing for 2 inches. Switch to stockinette and work until hat is 8 inches from CO edge. Cut yarn, leaving long tail and using tapestry needle run through remaining stitches and pull tightly. Weave in ends. Weave in ends and stitch to hat. I hope you were able to figure out the decrease for this pattern. When I made it for myself I interpreted it to mean that we knit 2 together, then knit 2, and repeated those steps for the entire round. IT seem to work fine that way. 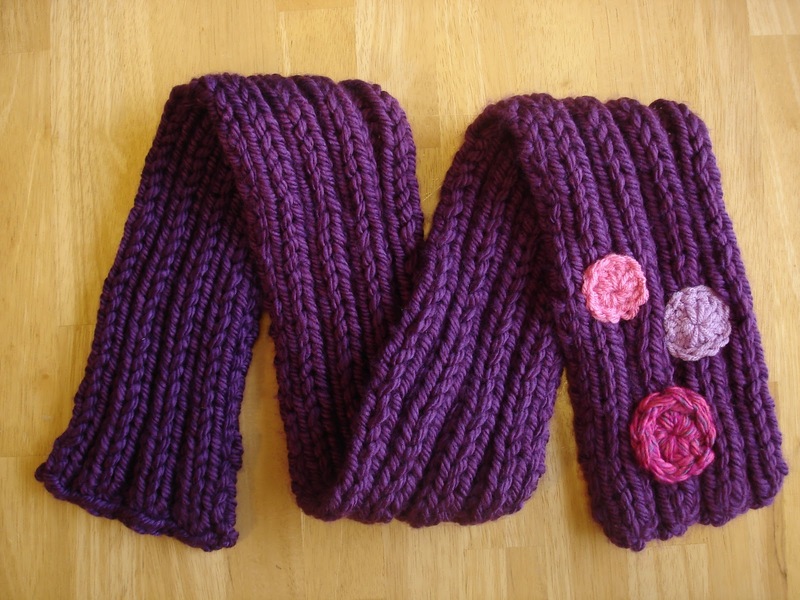 I'll be knitting this for "Give Kids the World" in red with flowers crocheted with the 4ply yarn & eyelash yarn.